China on Tuesday issued a travel advisory for Canada, warning its citizens to “fully evaluate risks” and exercise caution when travelling there. There are 4 comments so far. China’s travel advisory warning its citizens to exercise caution when travelling to Canada doesn’t hold water, at a time when over 45 thousand Chinese were deeply disappointed when their investment immigration visa was cancelled few years back. 99 % of the investment visa applicants were wealthy Chinese hoping to secure Canadian residency. Exercise caution? Give me a break. system is RULE BY LAW while democratic nations follow RULE OF LAW. judicial system are not seperate while in democracies they must be seperate. As shameful and unseemly as it is to play round with peoples’ lives, it looks like what is going on now with Mr. Schellenberg is political theatre gauged to raise the scare stakes across Canada. If and when a Chinese judge confirms the death penalty verdict I wager there will be a caveat. The sentence will be suspended for two years pending an assessment of the prisoner’s behavior in prison. Some time during these two years the Chinese then will announce that the prisoner has been sufficiently remorseful allowing him to go on to serve the remainder of his original 15 year sentence . . . or until Ottawa bends enough to earn Mr. Schellenberg a sentence reduction, alternate incarceration in a Canadian prison or perhaps even a pardon. That is a picture of Canadian Robert Schellenberg. 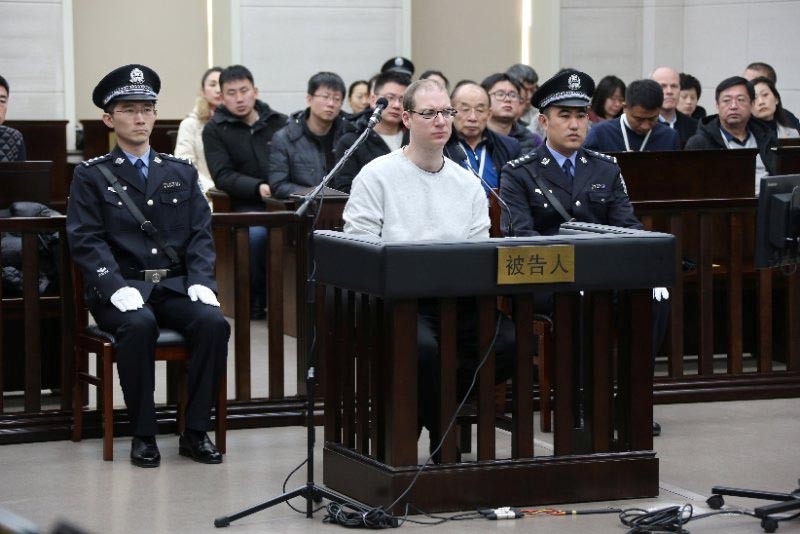 He has just been handed the death sentence after Chinese decided all of a sudden to review his previous sentence on drug trafficking charges. Since the arrest of the Huawei executive several Canadians have been arbitrarily detained in China. The travel warning by China is laughable. It is the Canadian govt. that should be issuing a travel warning to its citizens. Because the CCP will arrest you on false charges. Canadians better not travel to China until this mess is sorted out.